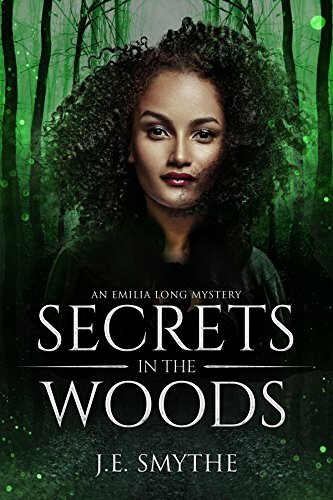 Secrets in the Woods is a gripping tale about Emilia Long- an Investigative Reporter and her quest to find out the circumstances surrounding her mother's death. Long's quest begins after reading documents left for her by her adopted mother revealing that she was abandoned as an infant at a Brooklyn hospital. The revelation led Emilia on a suspenseful journey to find her birth mother. But finding her is not so easy. Her investigations reveal that her birth mother disappeared months before her birth and that the disappearance was linked to a murder. With the key suspect in her mother's disappearance locked away in jail on unrelated charges and the townspeople, including the Sheriff, unwilling to help her, Emilia finds herself at a dead end. In an unimaginable twist of fate, Emilia discovers more than she bargained for. Some Secrets are really better left untold. In addition to her 9 to 5 attorney job, Smythe is also the co-founder of publishing company, Lady Esquire Group, LLC. The Attorney Author describes herself as a half analytic and half creative who was blessed to figure out how to join those halves together. Her other books include: Through Grandma's Eyes, Zora's First Day and a Few Good Friends. When asked about the motivation for writing her latest work, she explained: "I'm a lover of the Cozy Mystery genre but I found that there were not a lot of those books written by African American Authors with African American characters. I just wanted to put a whole new face on such a fun and exciting genre." 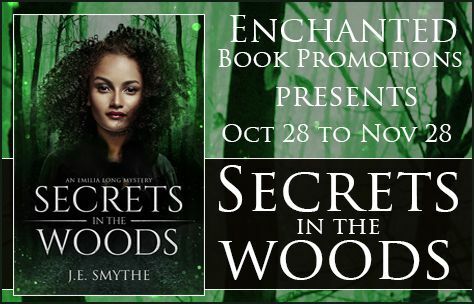 Smythe's adept writing style in Secrets in the Woods is enticing and captivates readers from the first page. The novel feature a cast of believable characters and numerous twists and turns that will have readers begging for more. Emilia turned around quickly only to be blinded by the headlights of what looked like a motorcycle. The engine roared louder and then the motorcycle started to come right towards Emilia at a high speed. Emilia took off running as fast as she could weaving through the trees and bushes, but the motorcycle kept coming. Emilia found a large rock and tried to hide behind it, but the motorcycle jumped right over, turned and started coming again. Emilia grabbed a large branch and waited for the motorcycle to get closer then she took a swing which caused the driver of the motorcycle to swerve on its side. Emilia didn’t wait around to see what happened to the driver she took off running again. She found herself by the cliff overlooking the river. She slowed down from running to see where she was going. But she had dropped her flashlight and couldn’t see much. Before she could make a move, the motorcycle was back. This time coming much fast and Emilia was trapped between the cliff and the motorcycle. The motorcycle had her corner, and without thinking Emilia leaped over the cliff rolling down the cliff and landing on some bushes and rocks a few feet below. She turned her head in pain and looked up to see a hazy figure standing at the top of the cliff. Then the figure was gone and so was the sound of the motorcycle.